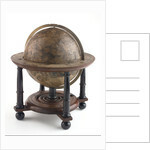 Celestial table globe. 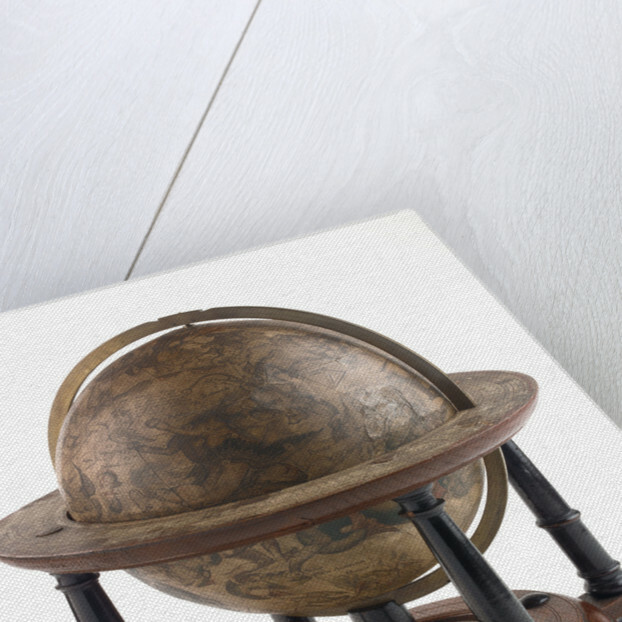 It forms a pair with a terrestrial globe, Blaeu GLB0152. 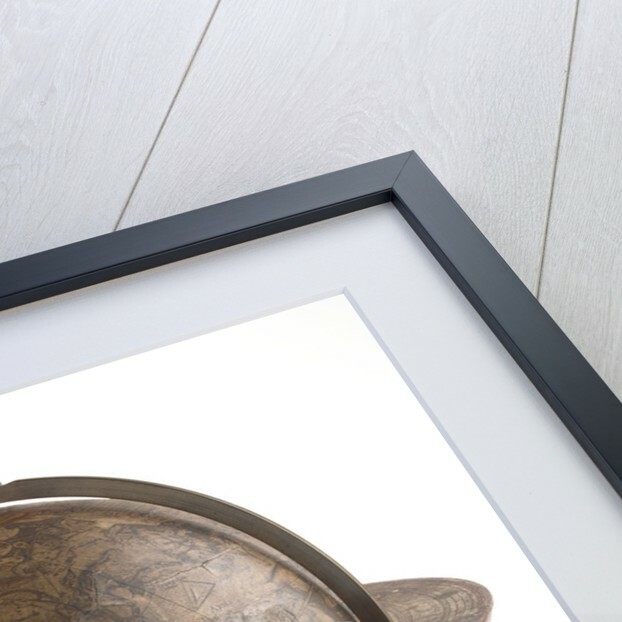 Astronomical details on the sphere include a labelled magnitude table between Eridanus and Dorado in a cartouche. The Milky Way and the Megallanic Clouds are labelled, and there is a nova in Cassiopeia. A total of 17 stars and two star groups are named. The 48 Ptolemaic constellations and four of the non-Ptolemaic constellations are drawn; the 12 southern constellations of Plancius are also drawn. All of the constellations follow the style of Saenredam but Bootes is shown here with dogs. 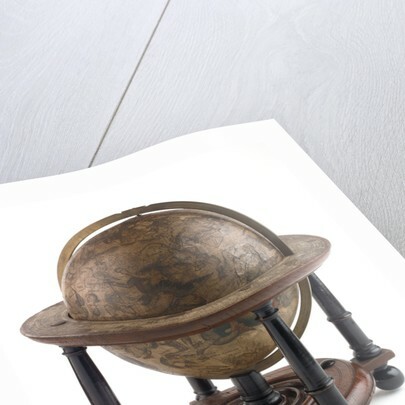 The data for the 12 southern constellations represented on this globe were copied from those on the Hondius globes, for example GLB0157, in spite of Blaeu's claim that they were observed by the Dutch astronomer, Frederik de Houtman. The latter's observations appeared for the first time on Blaeu's 340 mm globe of 1603, numbered GLB0101. Blaeu's 1602 globe, numbered GLB0152, bears the first public record of the nova in the northern constellation of Cygnus, based on observations by Blaeu himself. 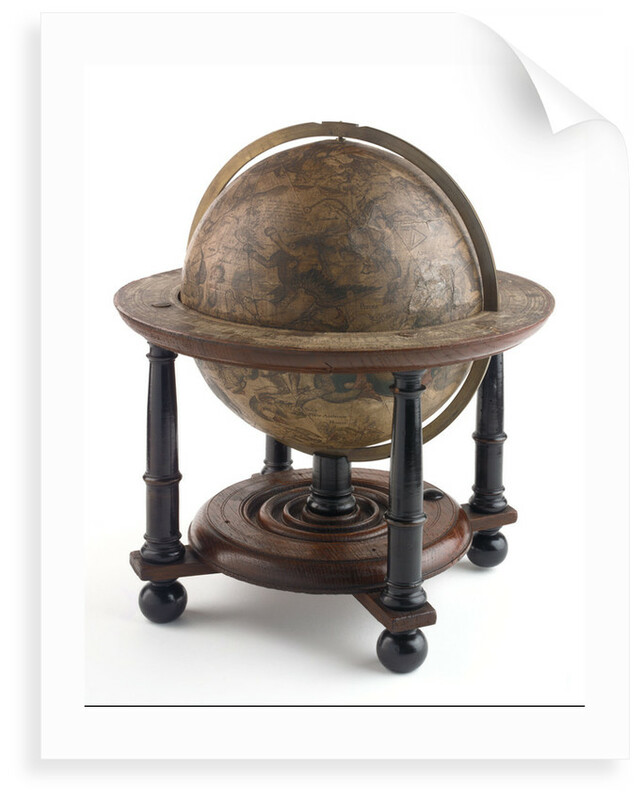 For full details about the cartography and construction of this globe please refer to the related publication.